he MdDS Foundation promotes education and research on Mal de Débarquement Syndrome (MdDS), a chronic neurological disorder causing sensations of rocking and swaying. We advocate for and seek treatments to end suffering caused by MdDS. The MdDS Foundation is an all-volunteer 501(c)(3) nonprofit foundation. 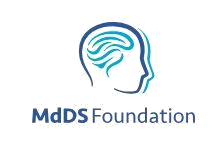 The Foundation promotes international awareness of Mal de Débarquement Syndrome (MdDS), while advocating for those living with MdDS, seeking treatments and a cure for people suffering from this rare neurological disorder. With this Patient Insights Network (PIN), we seek to establish consistent patient information to provide more accurate data to medical professionals and researchers.